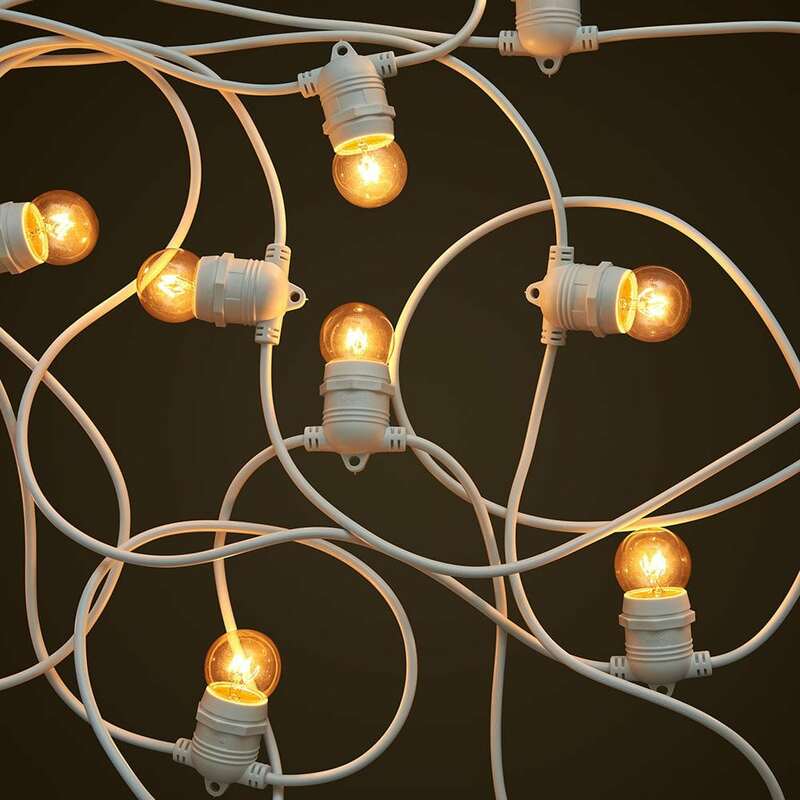 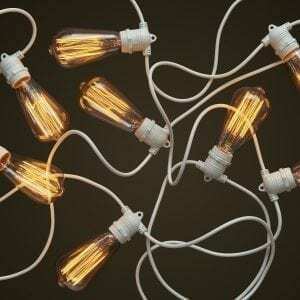 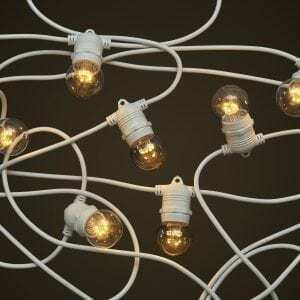 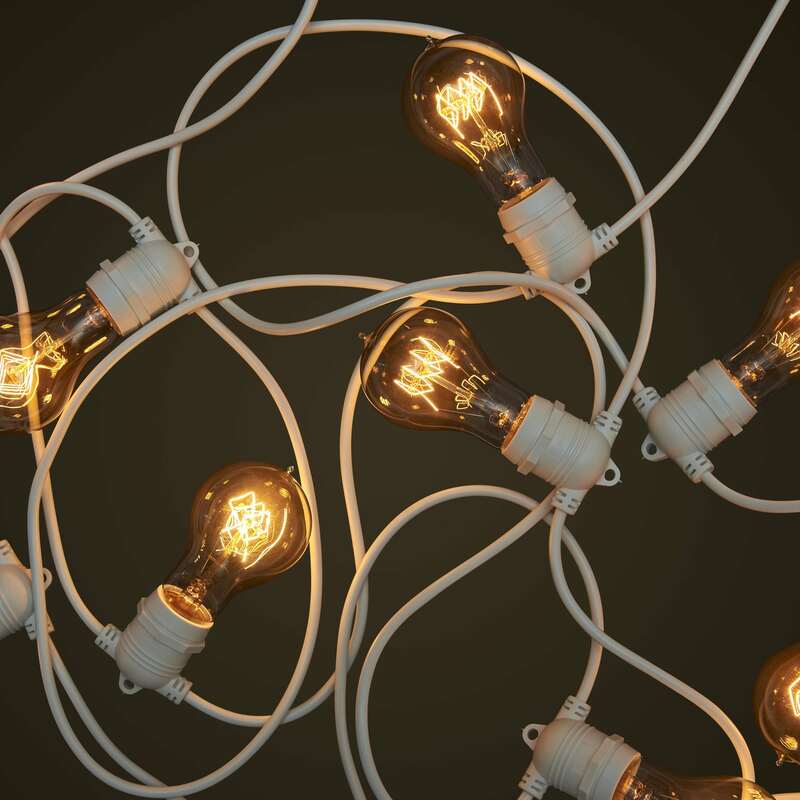 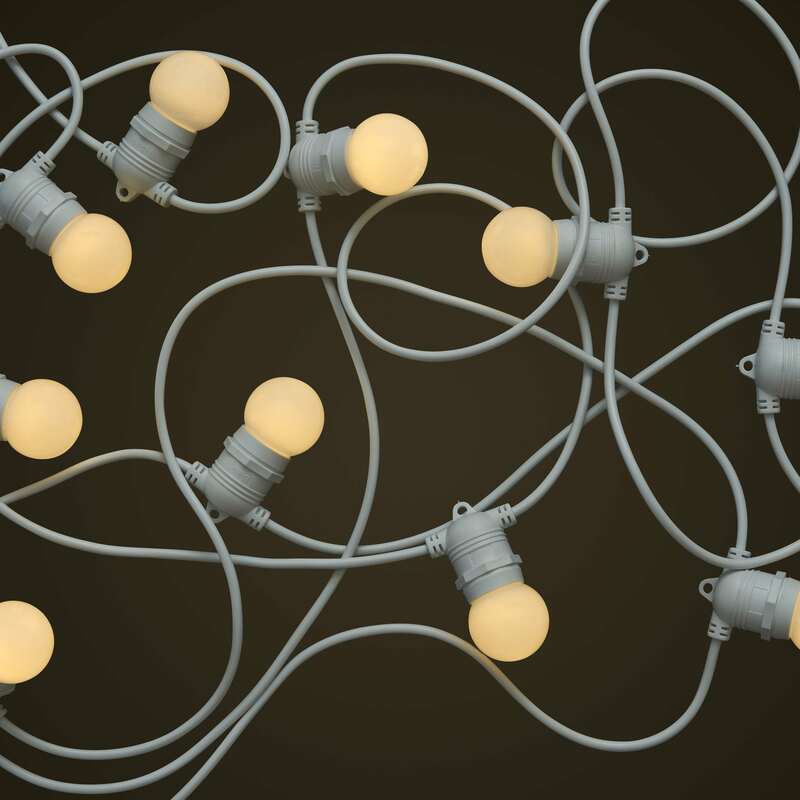 Our 10 meter white cable with 10 x E27 screw lamp holders is a great festoon string light kit suitable for almost all applications. 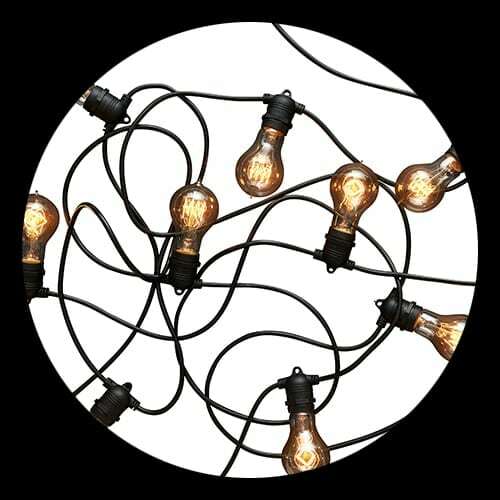 It is perfect for events such as weddings and parties and great for outdoor garden occasions where a fantastic simple to use lighting source is needed that also provides great style and class. 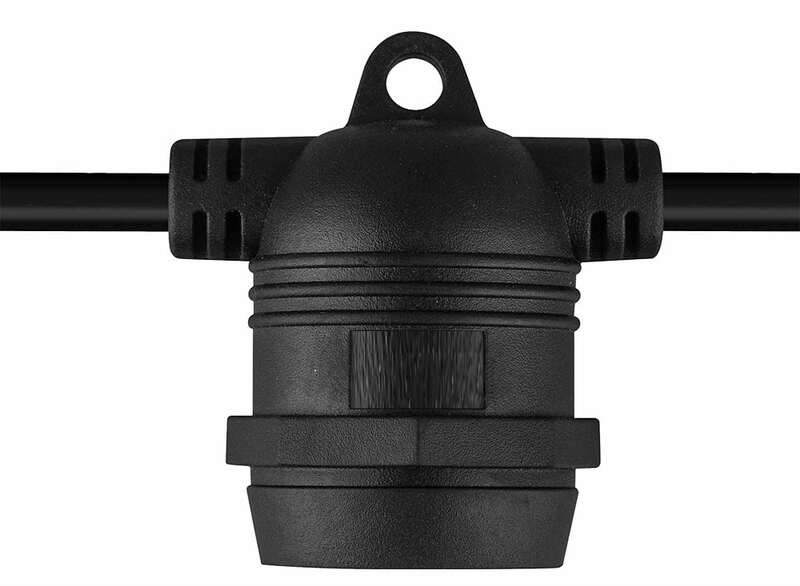 It comes complete and ready for easy installation with a standard Australian power cord attached and is able to be used in indoor and outdoor applications. Its IP44 rating means that it is can be used in the rain and all weather conditions and the design of the festoon allows for it to be attached to almost any fixture including suspended wire, trees or structural items. 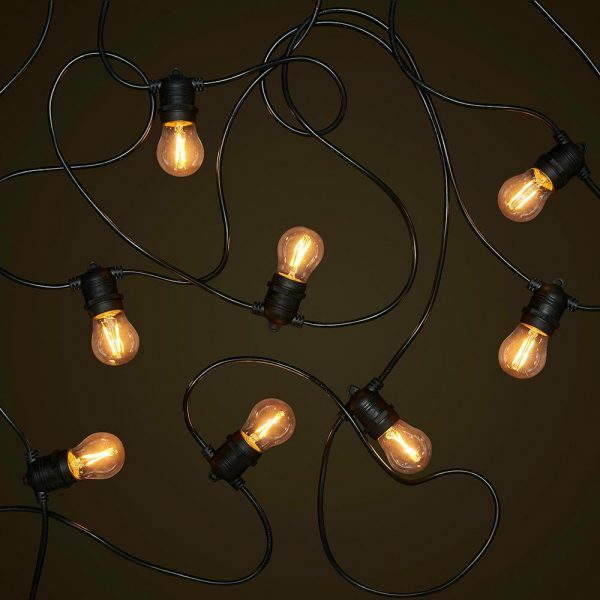 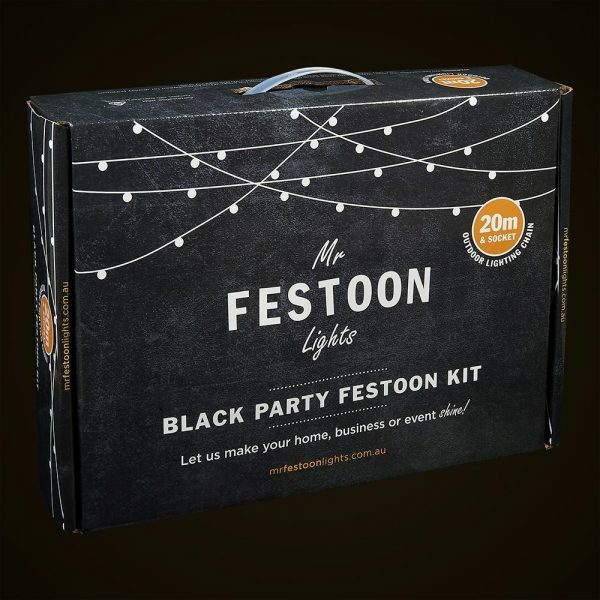 This festoon lighting kit is available on its own or with any one of our huge selection of globes including standard round globes, LED globes, fancy Edison globes and globes of all colours. 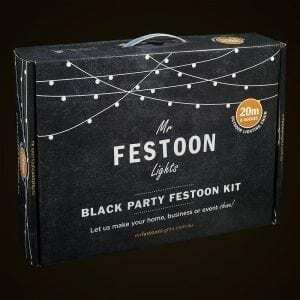 Please note: This festoon is best suited to permanent indoor or under cover use (Pergola etc..) or temporary outdoor use. 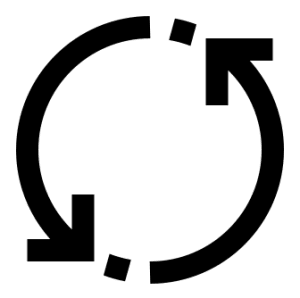 As this is a mains rated power cord please follow all safety instructions provided and if in doubt use a qualified electrician for installation. For permanent outdoor or commercial settings use we recommend our commercial festoon kits which are extendable and have UV resistant heavy duty cabling and globe gaskets. 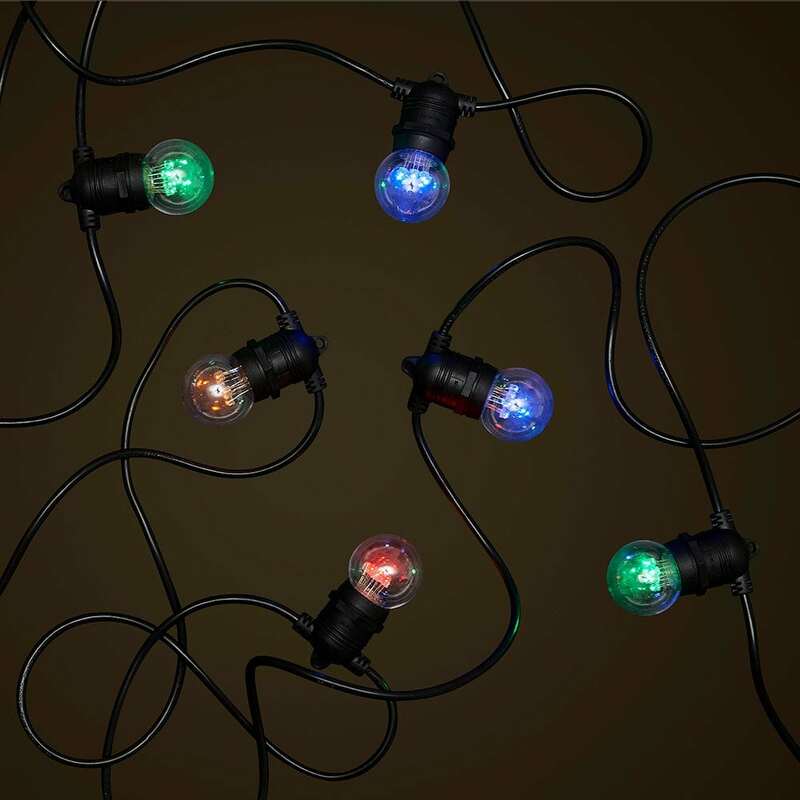 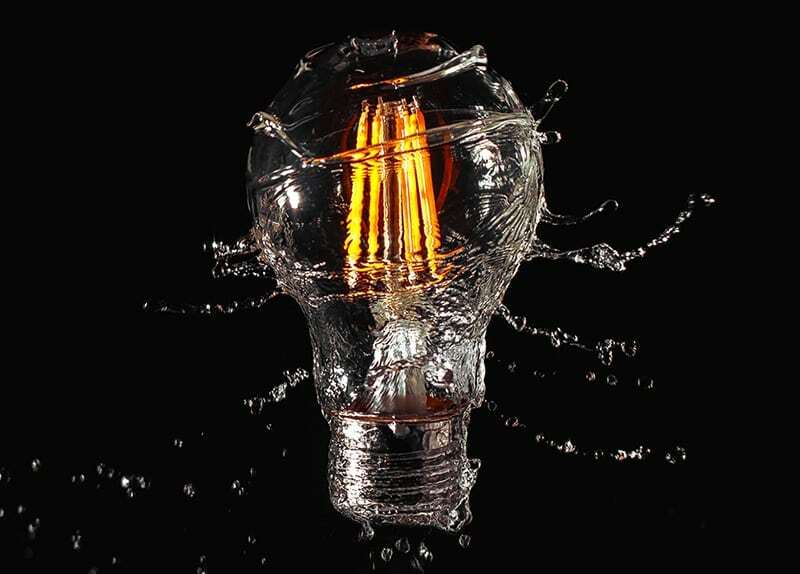 Our Party Festoons all come with an IP44 rating meaning they can withstand the wet weather – for permanent outdoor installations however use our Standard Commercial Festoons.